The Treeline will be uniquely Ann Arbor. The proposed route of the urban trail runs along the alignment of historic Allen Creek—from the Big House through the heart of downtown to the Huron River—linking to the Border-to-Border Trail, Argo Pond, and the Cascades. A space that connects us to our roots in the middle of downtown. A trail on which to walk, run, bike, and unwind that exemplifies our way of life. In addition to public use, the Treeline will be designed to integrate stormwater management features. The trail will work into the overall urban design of the city, improving the quality of life and providing a downtown escape for all. The project advancement is being supported by the Treeline Conservancy, which is dedicated to the planning, construction, fundraising, and sustainable maintenance of the Treeline. A master plan, documenting the preferred route, design elements, estimated costs, and implications, has been approved by City Council. The City, along with the Treeline Conservancy, a team of urban designers, community members, and stakeholders, are promoting public input and discussion. After all, the Treeline will belong to all of us.  Bring access to Ann Arbor’s river and park system through the heart of downtown along the alignment of historic Allen Creek. Provide safe passage and recreation from Stadium Boulevard to the Border-to-Border Trail. Invite community gathering and engagement with natural and cultural features. Benefit current and future generations by providing positive economic impact, improved aesthetics, enriched community engagement, and improved stormwater quality. Sign up to receive information on volunteer opportunities and more. Give today to help create tomorrow’s Treeline. © 2019. The Treeline Conservancy. All rights reserved.